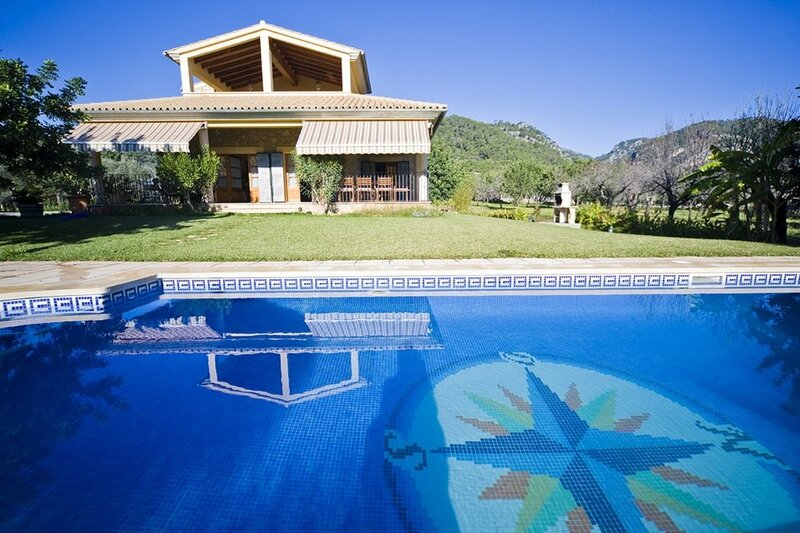 Can Tofol is a secluded Mallorcan villa though located just outside of the picturesque village of Valldemosa. The beautiful mature gardens are filled with birds and make it sound like a tropical forrest. 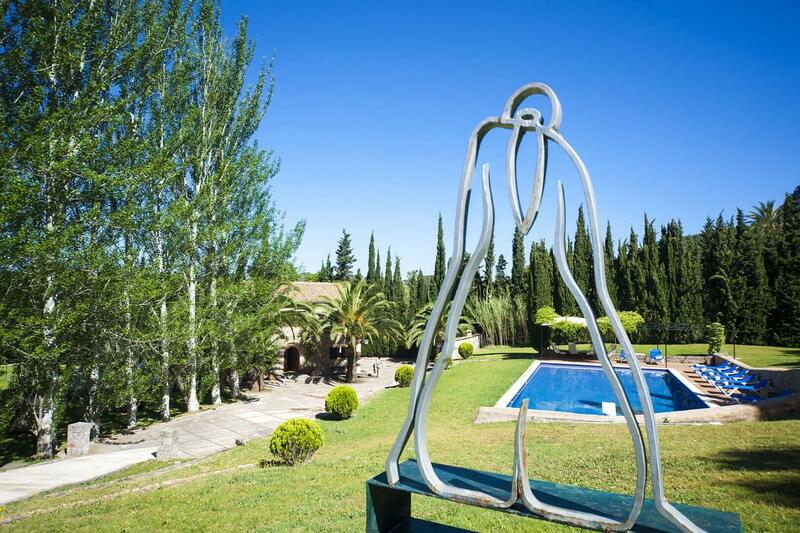 There is a large swimming pool, 14 x 7 meters, with 8 sun beds that enjoys sun all day long. The sounds and views from the house make it a dream location for a holiday in Mallorca. The living area of the house is 200m2. There are 4 bedrooms and 2 bathrooms on the first floor, one of which is en suite. On the ground floor you’ll find a fully equipped kitchen, a living room with a fire place and air conditioning and a dining area. From the living room there are french doors opening onto the covered terrace with lounge area and a dining table. The house is surrounded by several terraces, from all the terrace there is an amazing view of the surrounding mountains. For the kids there is a wooden tree house as well as a ping pong table.